Everyone understands it. No one would likely to disagree with it. Yet the practice of it is not as common as we’d wish it could be. The subtle reality is that it’s sometimes hard NOT to skip the divergent thinking phase when we’re under circumstantial pressure. Zooming out is not always welcomed or even tolerated. The process-based problem solving techniques that have been deeply integrated to most businesses and organizations largely focus on the convergent thinking, with assumptions made for the goal, the scope and the requirements of the problem. And in some cases, those assumptions are indeed good enough. There are definitely occasions where people use divergent thinking to come up with those goals and scopes in the first place, but if we look around, it’s just not so common. Because divergent thinking takes significant amount of time with no promise of delivering a feasible solution. That is exactly what creative or innovative effort is inherently like (since it’s not about probability but possibility). It is, in fact, in direct conflict with the goal of creating a solution, for which we always want to analyze, clarify, decide, and get down to the details with well-defined approaches. Therefore, while convergent thinking feels integral to our daily problem solving (because we’re so used to it), divergent thinking is rarely seen as a standard, default activity in common practices. So what to do about it? Mindful practice. Even when we don’t have the proper case for touring the wonderland before settling down, we can still proceed carefully, baring in mind the questions we want to ask about the problem, its scope, why we want to solve it, and why we do it in exactly this way. Take notes on any clues for questioning and ask whenever possible. Sometimes we can gather enough evidences to suggest a bigger discussion of the problem space, rather than the solution space. People may be surprised by and/or benefit from the questions we ask. I guess the trick is just don’t give up. Always ask. People may not like being questioned about what they think to be the established assumptions. In any case, don’t confront them. There are many indirect ways to suggest or imply. Solving people’s problems doesn’t mean feeding their own sense of righteousness. More often than not, solving important problems involves challenging people’s long-held views on things. Give them time to accept or adapt. Don’t try too hard to wow with solutions. People like solutions, but rushed solutions are usually just not good in the long term. Politely and carefully ask questions. Wow is inherently ephemeral, and it doesn’t stand the test of time and experience. Only constant questioning can lead to the real problems, and to solutions that make a difference in the long term. It takes a long time for people to appreciate the true value of divergent thinking. Barely anyone would end up thanking or crediting you for asking many questions that led to a better understanding of the problem. People usually only remember the good ending, not the messy beginning. 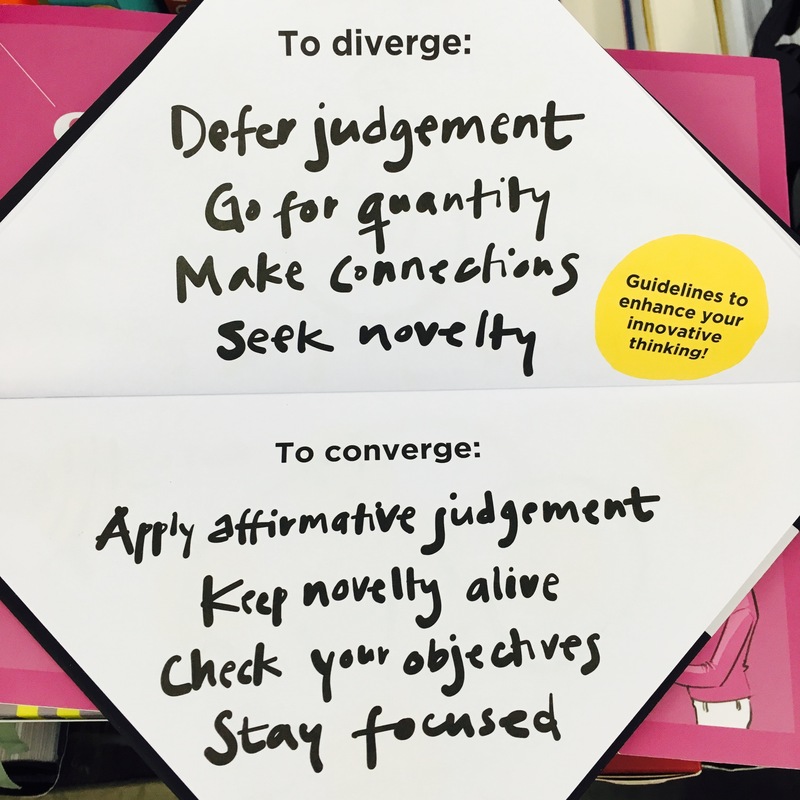 Convergent thinking is much more common than divergent thinking. The former has been integrated into the processes for problem solving, while the latter is the phase we sometimes skip, intentionally or not. Better solutions depend on better framing of problems. Only by applying both divergent thinking and convergent thinking can we facilitate more chances to better solutions. Don’t give up questioning. Eventually, you’ll end up working with people who like questions.